Somehow, after 14 years, it’s clear that the computer has been dropped or hit to break off a corner. You can’t open it without substantially damaging the top part of the computer. Which we had to do so we could backup all the information and get it ready to transfer to a new laptop. Back to trying to blog on a phone! I used a few other stamp sets for this card. All fitting to celebrate your Dad. I did a FB live on my FB Page about this card. You can catch that for more details. Thanks for stopping by corner of the internet. RIP to my old computer and hello to a new one. Have fun with “Dad is Rad. Have a creative day! Amazon popped up some great pictures today of a crop in Guam with some of my favorite peeps. It’s a great throwback and makes me really miss our time in Guam. We had a fantastic home (large and wonderful view) in Guam and cropped several times a month. Here’s some fun pictures from that night. We are actually working on altered books at this event. This group was very creative and loved exploring all different types of art. They led me on several marvelous adventures info their quest to learn more and be creative. In the midst of all of this creating, we had a great deal of fun. The sense of humor these ladies have is amazing. We were together through some challenging times. We made it to the other side. The belly laughs were so worth it. I love how crafting together helped us bond. Best of all, from this group, I gained some life long friends. Friends I’m able to laugh, cry, and share life with. CTMH had always helped me get settled into a new area and make friends. One of my closest friends, LeeAnn, is from Guam and she’s SG’s Godmom. Don’t you just love her smile? 3 of these 5 ladies have been consultants with CTMH one time or another. CTMH is not just crafting, it’s family!! Come and join the fun by joining the team! Join Our Fun! Hope you enjoyed the my throwback! neighborhood kids. We washed off the chairs cleaned up things drag them out got things set up and are ready to enjoy the summer. There are several different product options for Postcard Perfect Collection, so it’s a little crazy to keep straight. Here’s the run down. First you have the Paper Pack with 6 different sheets of background and texture paper, two-sided, so you have a total of 12 different patterns. There are 2 different patterns of white embossing on vellum included in the packet. The cardstock pack has 12 pieces of cardstock included. It is important to pick up the cardstock pack with the paper pack because there are colors in the pack that are not available outside of the pack. It’s fun to have new, fun colors. =) The workshop for scrapbooking from Studio Sus uses the Espresso cardstock for the base pages. The next option is the stamp set, Postcard Perfect Stamp Set. The title “Amazing Family Vacation” is great for lots of other pages outside of a tropical or beach vacation. The tag stamp is create on both cards and pages. If you love it all, there is a great bundle with all of the above for $53.95, saving 20% off the $67.80 price. You get everything you need to have in this bundle. There are some many amazing workshop options you can pick from, from my collection. Enjoy this amazing Postcard Perfect Collection. I can’t wait to see what you all create with it! Yowzers – the clearance is crazy!! Not only do we have Idea Book – SE2 full of great new stuff, Postcard Perfect, and an oh-so-fun stamp of the month, but there is some amazing clearance – stamps and thin cuts as low as $5.00 just to mention one great item!! You better run and check it out!! Jacqui P Cardmaking – 20 cards – 10 patterns – 2 of each. option from the 3 workshop guides I have – 2 for scrapbooking and 1 for cards! Purchase $75 of product and you’ll get all three free!! Check out my Workshop Page or my Linda Creates Special Peeps Group on FB to see all of these great workshops. For Hostesses: Hostesses can receive a FREE Postcard Perfect Cut Above® layout kit when their party order reaches at least the third level of Hostess Rewards. Seasonal Expressions 2 is Live! Place your online order today and have it added to your order for FREE!! =) There are four new, amazing paper packs to help celebrate Summer and our memories. Click on the picture above to view the Seasonal Expressions 2 online. Stories by Stacy is finally here! So this is a brand new project and I’m going to be reaching out to five customers who are willing to dedicate some time creating these albums and doing a FB Live in my group showing off your mini-book and sharing your thoughts on this new product line. You will be my live product testers! I love jar images for stamps. There is so much you can do with them. It’s been a bit since we’ve had an invitation stamp set so this is good timing. Use this set to create invites for a late Spring or Summer party. Use the invite piece for any party. Use the other stamps for so much more. 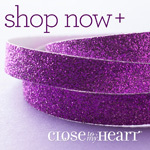 You can purchase the set for $17.95 or for $5.00 with a qualifying purchase of $50.00 of product. When you get the set for $5.00, you’ll get the SOM Card Kit for free! Isn’t this just amazing? It’s the first of 4 new paper packs in the Seasonal Expressions. By default of the tea paper, stamps, and compliments, it will be my favorite! Thanks for stopping by to see all that is new in May. Enjoy this Postcard Perfect Collection. With all the different workshop you can choose from, you’ll be sure to find it fun and a way to get some great memories scrapped.